Haus Elisabeth is a beautiful house where you can escape far from the stress of the daily grind. The house was constructed with wood over a century old, which gives it unparalleled character. Furnished in a modern design, this first-floor holiday apartment offers everything to make your stay as relaxing as possible. 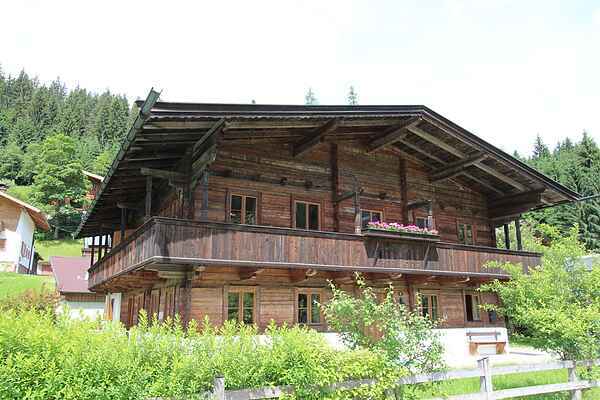 The highlight of Haus Elisabeth is the three-sided balcony, offering an open view of breathtaking mountain scenery. The holiday home is located close to the town centre, so all recreational and leisure options, such as tennis and hiking in summer and a visit to the pub in the evening, are just a stone's throw away. In winter, the ski bus (just 100 metres away) will very conveniently take you to the biggest ski area in Austria: Skiwelt Wilder Kaiser-Brixental. And if you would prefer a calmer slope then you will love the Kelchsau ski area, only 2 km away and an inside tip for skiing in Brixental! There is also a cross-country ski trail across from the holiday home. So there is no limit to the recreational offerings and activities close to nature. You will be amazed by the incredible variety that this area offers.